YAY! 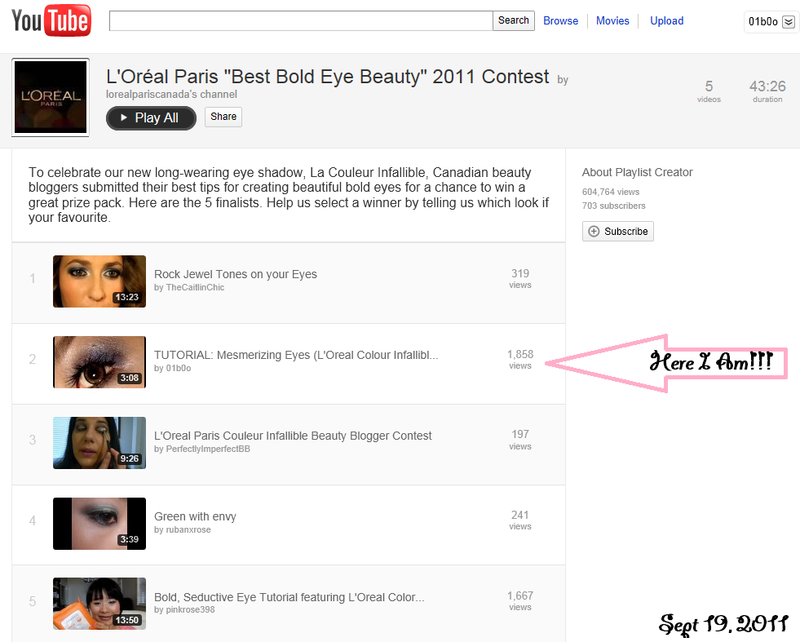 As some of you probably know by now, I made it to Top 5 Finalist for .....the L'Oreal Paris: "Best Bold Eye Beauty" 2011 Blogger Contest!! 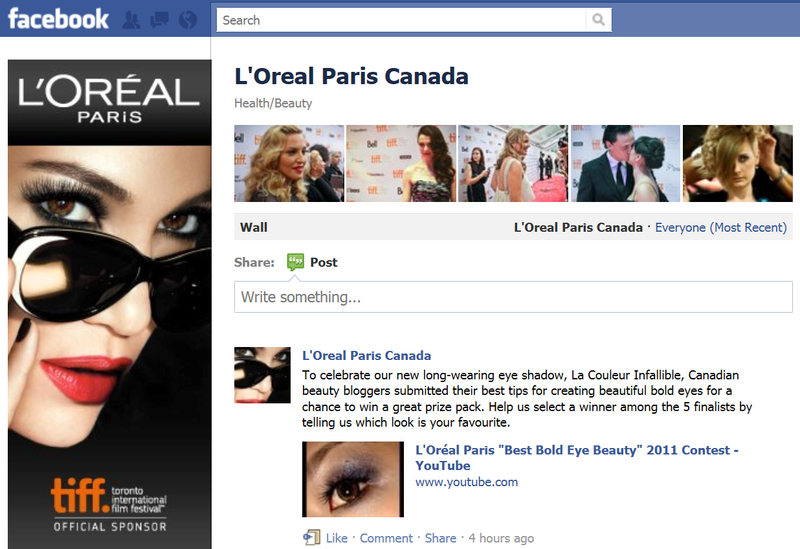 They happened to have used my Youtube Video Thumbnail as that wall post's picture which is so cool! =P Although, I made it to top 5, but the race to the top isn't over yet! :)Please support me by voting, I will very much appreciate all your help!! It's very subjective whether or not a finalist's video is your favourite. So, do take a look at fellow finalists' tutorial videos!